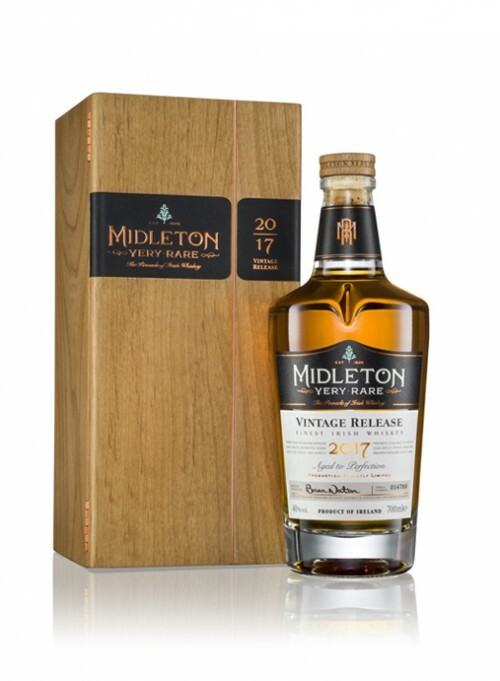 Usually the LCBO has the annual edition of Midleton Very Rare in time for St. Patrick's Day, but this year they were late (How dumb is that? Imagine the increased sales, folks!) Not only does the 2017 edition contain some of the oldest whisky ever put into the range, but it has entirely new packaging with a super fancy box and luxurious bottle design (too luxurious, in my opinion...) Let's see how it compares to the 2016 bottling. The colour is a rich gold. Very nutty on the nose, with dark chocolate, marzipan, crispy malt, toasted oak and dark honey. Lots of tropical fruit: banana skin, papaya, lemon and underripe green mango. Touch of mint. Very grassy. A bit closed (it is a freshly opened bottle) but those roasted almonds, walnut and macadamia are very apparent, speaking to a prominent pot still character. Lots of complexity too: the longer it sits, the more you get (sandalwood, nutmeg, lots of fruit.) With water you get ginger and wood smoke. Scrumptious! A wee bit thin on the palate, with more honey, cinnamon, cloves and light maple syrup (very light). Orange pith. Chocolate, but milk this time. A hint of ginger; also the requisite butterscotch and vanilla. Buttery, creamy mouthfeel. Both maltier and spicier with water. Very impressive but doesn't quite have the joie de vivre of the nose. 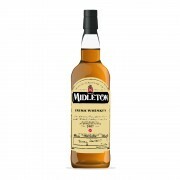 The medium-to-long finish is oaky, spicy (with black pepper and paprika) and lightly sherried. This is beautifully done, one of the best of the range that I've tasted, with a wonderful balance between serious oak and that biscuity spirit. That rich, creamy mouthfeel is fantastic. How does it compare with the 2016 edition? That one's been open for over a year, and is still quite fresh with those roasted nuts and honey - but lacks the body of the new edition. As good as 2016 was, 2017 is definitely better - almost justifying the fancy gussying-up! Wow! At that price it BETTER be good! @talexander, great review, makes me want one! I seem to be locked into Scotch single malt with an insurmountable tunnel vision, but you and @paddockjudge and @Nozinan and @Victor are forcing me to get serious about Irish, Canadian and American whiske(y)s. I feel like I really need to get over my preconceptions and break out of that box. Thanks for your usual persuasive review. @BlueNote I truly believe that the true whisky lover can find something they like within every style, be in single malt scotch, blended scotch, bourbon, American rye, Canadian, Irish, Japanese, whatever. Having said that, everyone has their own preferences that are always totally valid. @talexander I couldn't agree more. I admit my experience with Irish and Japanese whisky is minimal, and North American is becoming a little more prominent in my radar. I'm very fortunate I have had friends who helped expose me to the good stuff. When I started my whisky journey, it was all single malt scotch for me. I still prefer it, but it's hard for me to shell out the money for it when I can get some real quality American whiskey that I really enjoy at higher proof and much lower prices, often local too. I try to keep an open mind. Whiskey is a wonderful thing and intend to explore as much as I can. @talexander I think that we can say the same thing you said about the levels of ABV. There are gems at all levels of ABV even if we have our own preferences. 12 months ago 2Who liked this? @Robert99 Absolutely, many of the greatest whiskies are 40%.